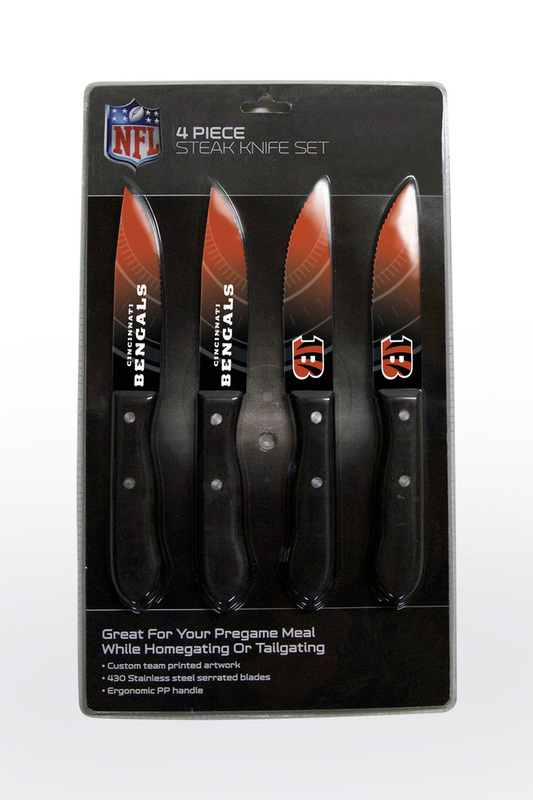 Perfect for your next game night celebration or pregame meal at home or outdoors! 430 stainless steel serrated blade. Custom team printed artwork. Ergonomic polypropylene handle. Double riveted. Easy to clean. Hand wash for best results. Not recommended for dishwasher.